My company was running our customer service out of a heavily modified gmail inbox. LiveAgent was able to reduce my average customer response time from 28 hours down to 2.5 hours. In fact, we’ve even managed to go down in manhours and still work through our workload much quicker. Having our tickets and chats, and the ability for a chat to become a ticket, has been super handy! The system is quick to set up and even easier to configure. Setting up rules for automation helps keep our workload low and our responses to customers timely. We haven’t set up the custom plugin that allows us to integrate other information yet but I’m looking forward to having that set up soon. The support staff is very quick to help out but implementations of suggestions are not quick at all and sometimes the support staff will tell you that you don’t need a feature, when in reality, you do. For example, LiveAgent will always count a chat as a “missed chat” if it isn’t answered within 30 seconds. Each 30 seconds counts that same chat as another missed chat. This isn’t how I define a missed chat (chat initiated and NEVER answered) and I have no control over this setting at all. Some of the reports are also highly confusing. Lastly, the system is simply missing some basic functions. I need my entire team of agents, regardless of which department they are in, to be able to see every ticket but the only way to do this is to put them in every department. This has caused a lot of issues that we’ve had to change our processes not only with customer service but through the rest of our company as well. It would be beneficial to have a “view only” option for departments. Other basic features that are missing: Chat hours (if an agent is logged in after hours the chat shouldn’t be displayed), merging tickets, attachments don’t get sent to ebay members etc. There are also random times where LiveAgent will freeze, boot agents out, or simply stop working (I just had a chat show up as a new chat but said the customer was waiting for 14 hours). Give it time! You’ll have to change some processes and behaviors, but give your agents some time to get used to the system and give yourself some time to configure the system properly. My company was running our customer service out of a heavily modified gmail inbox. LiveAgent was able to reduce my average customer response time from 28 hours down to 2.5 hours. In fact, we’ve even managed to go down in manhours and still work through our workload much quicker. Having our tickets and chats, and the ability for a chat to become a ticket, has been super handy! The system is quick to set up and even easier to configure. Setting up rules for automation helps keep our workload low and our responses to customers timely. We haven’t set up the custom plugin that allows us to integrate other information yet but I’m looking forward to having that set up soon. The support staff is very quick to help out but implementations of suggestions are not quick at all and sometimes the support staff will tell you that you don’t need a feature, when in reality, you do. For example, LiveAgent will always count a chat as a “missed chat” if it isn’t answered within 30 seconds. Each 30 seconds counts that same chat as another missed chat. This isn’t how I define a missed chat (chat initiated and NEVER answered) and I have no control over this setting at all. Some of the reports are also highly confusing. Lastly, the system is simply missing some basic functions. I need my entire team of agents, regardless of which department they are in, to be able to see every ticket but the only way to do this is to put them in every department. Chat hours (if an agent is logged in after hours the chat shouldn’t be displayed), merging tickets, attachments don’t get sent to ebay members etc. There are also random times where LiveAgent will freeze, boot agents out, or simply stop working (I just had a chat show up as a new chat but said the customer was waiting for 14 hours). Give it time! You’ll have to change some processes and behaviors, but give your agents some time to get used to the system and give yourself some time to configure the system properly. During initial setup it did not work well in Safari browser. But after setting everything up using Firefox, I could use it just fine with Safari. Maybe the issue was on my side. I’v been using LiveAgent for almost a year now. I’v tried different competitors before, but there was always something missing in the features offered or the price just was not right. LiveAgent had just all the right features for the right price. I like that I can have all the multi-channels (social media, knowledge base, ticket system, live chat) I use for just one monthly pricing. The package includes three agents, so the pricing is perfect for us. I can do a lot of design and layout customisation according to my liking. It’s also a great that my customers can have their own log in to view their support tickets. 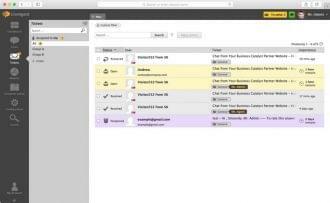 The best part of all is the amount of integration available with the other tools I use for CRM, marketing, etc. As much as having 3 agents included in the package is great for small teams, adding the 4th agent at the equivalent price of the original package seems to be rather costly in a way which is preventing my company to add more agents to our account because it doesn’t seem worthy money-wise. Among the paid support system available, I find that LiveAgent is worth the money for small teams, given the functionality available for the packages. If you are just starting out, usually the package for just ticket + chat is enough. If branding is also an important feature you need, then just an additional $10/mth will give you social media and phone support channels as well as branding. I have tried out a lot of different support system before settling for LiveAgent. I find that really careful consideration is required because if you know that your team size will increase in future, you have to weigh your options properly, especially the cost for the expansion. Given my experience with almost 10 other support software, LiveAgent is probably the only support software I am willing to pay for. I like that I can have all the multi-channels (social media, knowledge base, ticket system, live chat) I use for just one monthly pricing. The package includes three agents, so the pricing is perfect for us. I can do a lot of design and layout customisation according to my liking. 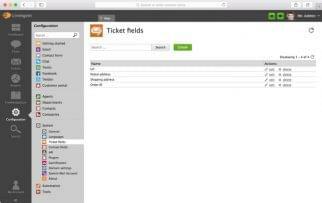 It’s also a great that my customers can have their own log in to view their support tickets. The best part of all is the amount of integration available with the other tools I use for CRM, marketing, etc. As much as having 3 agents included in the package is great for small teams, adding the 4th agent at the equivalent price of the original package seems to be rather costly in a way which is preventing my company to add more agents to our account because it doesn’t seem worthy money-wise. Among the paid support system available, I find that LiveAgent is worth the money for small teams, given the functionality available for the packages. If you are just starting out, usually the package for just ticket + chat is enough. If branding is also an important feature you need, then just an additional $10/mth will give you social media and phone support channels as well as branding. I have tried out a lot of different support system before settling for LiveAgent. I find that really careful consideration is required because if you know that your team size will increase in future, you have to weigh your options properly, especially the cost for the expansion. Given my experience with almost 10 other support software, LiveAgent is probably the only support software I am willing to pay for. I enjoy the user interface. It utilizes the latest design/development techniques. I also love the cost of the product. It’s priced way below comparable solutions. Lastly, I love how you can deploy the software with multiple speaking languages. I don’t like having to continue paying for extra users. I would rather have unlimited users, especially since we are running the software on our servers. I started using LiveAgent for one of my first online companies. Our customer base was well in the 100s of 1000s. Therefore, I opted to use the white label solution that integrated nicely with our user interface. I was quite surprised how inexpensive it was to comparable solutions. For these reasons, I have integrated into four of my companies…one being in a different language (Russian). This is an incredible product and I highly recommend it anyone starting a company online. Give it a try. Integrate it into your environment. You will be quite pleased. I enjoy the user interface. It utilizes the latest design/development techniques. I also love the cost of the product. It’s priced way below comparable solutions. Lastly, I love how you can deploy the software with multiple speaking languages. I don’t like having to continue paying for extra users. I would rather have unlimited users, especially since we are running the software on our servers. I started using LiveAgent for one of my first online companies. Our customer base was well in the 100s of 1000s. Therefore, I opted to use the white label solution that integrated nicely with our user interface. I was quite surprised how inexpensive it was to comparable solutions. For these reasons, I have integrated into four of my companies…one being in a different language (Russian). This is an incredible product and I highly recommend it anyone starting a company online. Give it a try. Integrate it into your environment. You will be quite pleased. About 6 months ago, we showed a need to take care of our new and also existing customers by reacting to their customer queries. We made some statistics, found information about companies, which provide help desk software and took a lot of time for research. We looked at user’s recommendations, price, quality and at the end we decided to go with LiveAgent. Top view looks simple, but the whole software is developed into details. 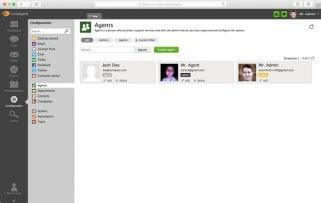 Agents didn’t have any problems with getting used to work with LiveAgent. Now customers can simply contact our staff anytime and they will receive a response in a short period of time. They can contact the company not only with problems, but also with requests and suggestions. Agents can manage the whole communication from one place. Options like: “Forum” or “Feedback” help us to stay in contact with customers. Top product, which connects companies with their customers in a clean and elegant way. Will be exploring more LiveAgent functionality in 2016. There really hasn’t been any major issues. We’ve run to some bugs but they were resolved. We’ve requested a couple of new features and are waiting to have these implemented. Take the trial, setup your emails and customer portal and forum and start doing customer service like it’s 2016. There really isn’t anything that you can loose. The price for the software is nothing compared to the price of salaries of agents. About 6 months ago, we showed a need to take care of our new and also existing customers by reacting to their customer queries. We made some statistics, found information about companies, which provide help desk software and took a lot of time for research. We looked at user’s recommendations, price, quality and at the end we decided to go with LiveAgent. Top view looks simple, but the whole software is developed into details. Agents didn’t have any problems with getting used to work with LiveAgent. Now customers can simply contact our staff anytime and they will receive a response in a short period of time. They can contact the company not only with problems, but also with requests and suggestions. Agents can manage the whole communication from one place. Options like: “Forum” or “Feedback” help us to stay in contact with customers. Top product, which connects companies with their customers in a clean and elegant way. Will be exploring more LiveAgent functionality in 2016. There really hasn’t been any major issues. We’ve run to some bugs but they were resolved. We’ve requested a couple of new features and are waiting to have these implemented. 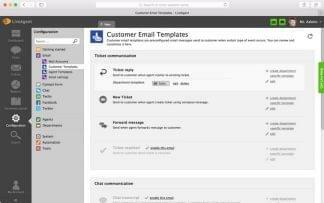 Take the trial, setup your emails and customer portal and forum and start doing customer service like it’s 2016. There really isn’t anything that you can loose. The price for the software is nothing compared to the price of salaries of agents. The first version of LiveAgent was originally introduced way back in mid 2007, when the provider was searching for a good helpdesk ticketing system to utilize for their own products. 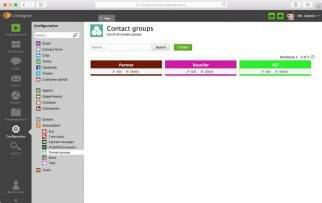 However, unhappy with the existing options, founders Andrej Harsani and Viktor Zeman decided to develop their own all-in-one helpdesk software. After a noticeable increase in their own customer satisfaction, the duo decided to release LiveAgent to the world. Available in over 30 languages, LiveAgent is a complete helpdesk ticketing, live chat, and even now call center solution designed for SMBs. As of 2015, LiveAgent hit a milestone of 15,000 customers leveraging their software and platform. LiveAgent has since won many recommendations and awards for their platform, and even includes some high profile clients including well known Chinese smartphone manufacturer Huawei. 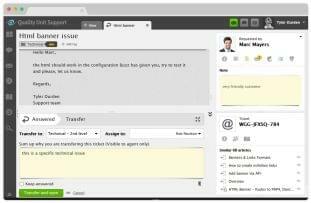 Designed from the ground up to be an all-in-one helpdesk solution, LiveAgent offers an impressive and extensive feature list. With competitive pricing, LiveAgent makes it easy for even the smallest organizations to gain access to a professional, intuitive and powerful helpdesk solution. In their most basic Ticket offering, users still gain access to a Custom Domain, E-mail ticketing, contact forms, and even self-service options for their customers, including forums and a knowledge base. In fact, LiveAgent does not place agent limitations on their different plans, but instead segments their solutions based on functionality. If your team simply needs a ticketing solution, and maybe some self-help options, then the cost effective Ticketing plan is more than enough. However, if your organization is looking to also handle Live Chat on your website, as well as visitor monitoring, then the Ticket + Chat option will fit better. This pattern again continues, with LiveAgent’s most expensive All-Inclusive plan offering ticketing, live chat and even cloud call center functionality. Despite their headquarters based in Europe, LiveAgent does have a U.S. location, and is able to provide service in over 30 different languages. Their solutions are absolutely feature packed as well, with even the basic Ticket plan providing users with over 20 different ticketing features and functions. LiveAgent also includes some extra functionalities not normally found in SMB solutions, including gamification and even unlimited call storage. What Do You Think of LiveAgent?